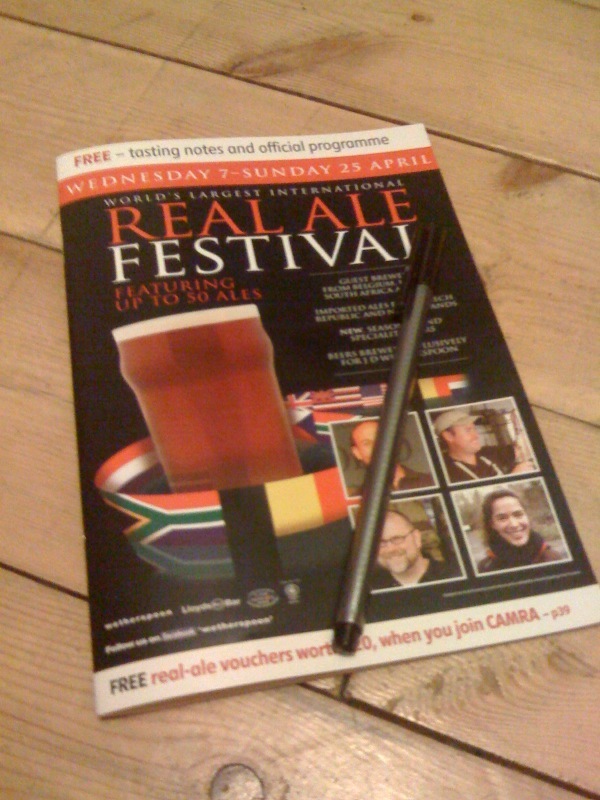 Wetherspoon's twice-annual Real Ale Festival gets underway today. 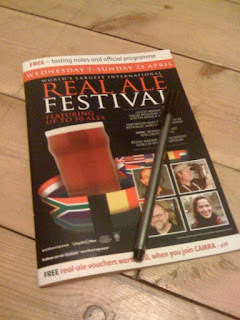 It's a great way to try a few cask ales from breweries that you might otherwise not come across. I won't go into any more detail because, frankly, I'm only stating the obvious! I'm quite lucky - I'm sure some will disagree with that - to have a 'Spoons on my doorstep, so I plan to call in for a few thirds over the next two and a bit weeks. As I try beers, I'll keep a brief record in blog form. I know many beer bloggers will be doing the same, so it'll be interesting to see what we all manage to find and what we make of the beers we try. Tonight there were only two festival beers on. First up was Maui Coconut Porter, a five per cent beer that's brewed with toasted Coconut. It pours a deep ebony colour and has a sweet nose of coconut, dusty wood and very slight smoke. On the palate there's toasted coconut, some sweetness up front, vanilla, dark chocolate and then a finish that's slightly tangy and that builds in bitterness. The body is full and smooth. Very nice indeed. Maybe - through hype - I was slightly underwhelmed, but very enjoyable nonetheless. Continuing the theme of imported beer, next up was Zululand Zulu Blonde. On the nose I got noble hops first then a building plastic note that reminded me of foam backed flip-flops. That sounds incredibly pretentious, but I can't think of a better way to describe it. Upon tasting you get a full honey-sweetness and a slightly boozy fruitiness. The finish comes in the form of a subtle, crisp bitterness. Not bad - might be better served colder and from a keg. Interesting. I, too, have a Weatherspoons literally spitting distance from my residence in London, but I am currently out-of-town (and out-of-country) until later this month. The coconut porter sounds like one I'd have been keen on trying. Well worth a try if you can get your hands on it. I've had a couple more half-decent beers at 'Spoons since. Will write them up soon.